Customer service can be hard, particularly if you use multiple channels. Fortunately, there are ways to make your support team’s job a lot easier. 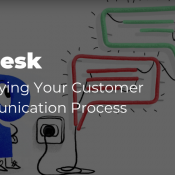 Paldesk, for example, provides a fully-featured live chat and help desk system. Let’s talk about what this software can do, and how to integrate Paldesk with WordPress!